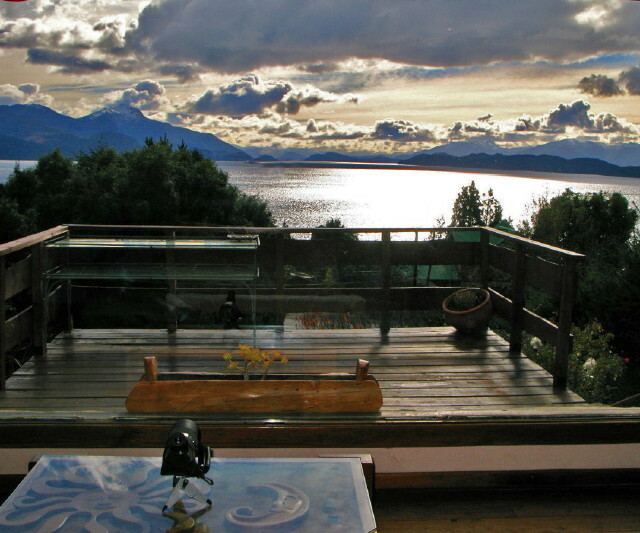 Bariloche, Argentina income producing property with permanent million dollar views just Reduced to US$329,000. Located 20 minutes from Cerro Catedral, South America's most developed ski area and 1.5 hours from Cerro Bayo. Situated in the exclusive Llao Llao neighborhood, outside of San Carlos de Bariloche, Patagonia, Argentina, this impressive real estate opportunity includes three houses spread out over two lots. 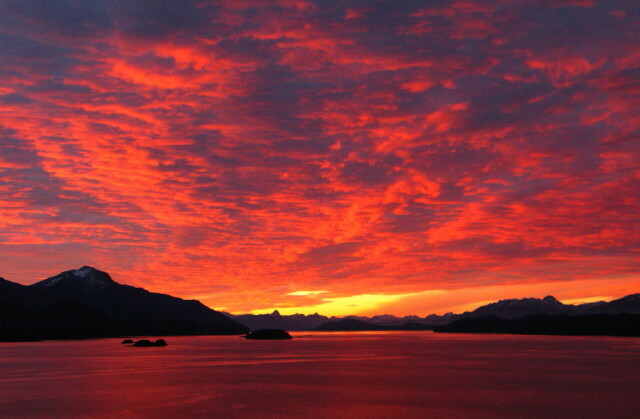 All enjoy their own amazing vistas of Lake Nahuel Huapi, Victoria Island, the Andean Crest and Chile, as well as individual privacy, private parking, and fenced landscaping with native trees and wildflowers. In addition, access to incredible, pristine beaches is just across the street. Situated on Ruta 77 (Circuito Chico), less than 2 miles from the world-famous Hotel Llao Llao, this investment property has impressive amenities in close proximity, such as multiple gourmet restaurants, superb golfing, the port Puerto Pañuelo for lake travel, dozens of awe-inspiring hiking trails, and several grocery stores. Patagonia Investment Property has excellent access with its location a few meters off of Avenida Bustillo, but yet at the same time is set back and quiet. The pride in ownership is obvious, with meticulous attention to detail given to all three houses. There is reliable wireless internet throughout, as well as an alarm system. All three houses are currently on the rental market, both long and short term. All three rentals boast impressive year round occupancy rates, with annual earnings over $40,000. To date, the property has been host to many guests from around the world, and has a high ranking on Trip Advisor. Included in the sale are high-end websites for continued rental success, as well as assistance from our Bariloche-based team and the English-speaking owners, assuring a smooth, professional and seamless transition. Existing reservation income is also included. The property title is clear, providing an easy transition and automatic title to the new owners per resolution number 166-2009. This special Patagonia real estate opportunity offers a transaction with no commissions or bank transfer fees, as well as all papers in order for running the property as a rental business. In today’s global financial climate, converting paper assets into permanent, sought-after, lake view property is showing itself as a smart move in protecting one’s future. This is not only an opportunity to obtain a financial asset that is able to retain its value during times of uncertainty. It also makes money in the short term. Don't let a chance to own an income producing property in paradise pass you by.